Over 150 people were contacted at this event promoting Friends, the NCA, and outdoor ethics. 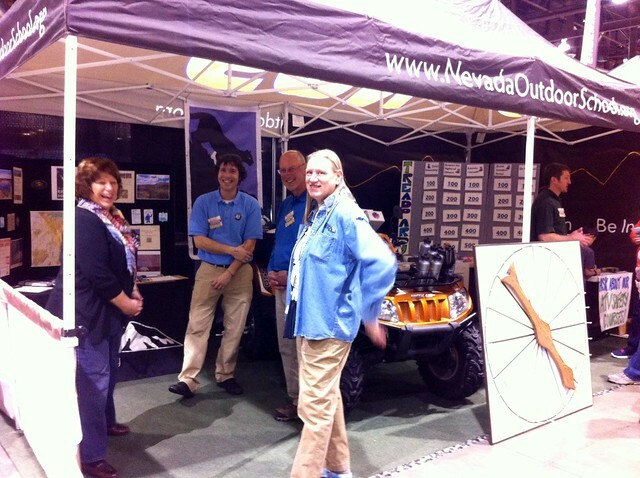 FBRHR shared space with Nevada Outdoor School to reach a broader audience. A great group of interested citizens attended a class to learn how to identify the “dirty dozen”. 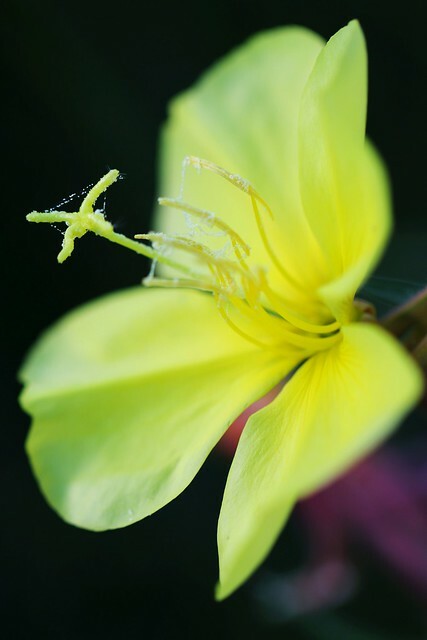 The “dirty dozen” are the 12 most troublesome noxious weeds of Washoe County. FBRHR surveyed 3.833474 miles of roads and riparian areas for noxious weeds. 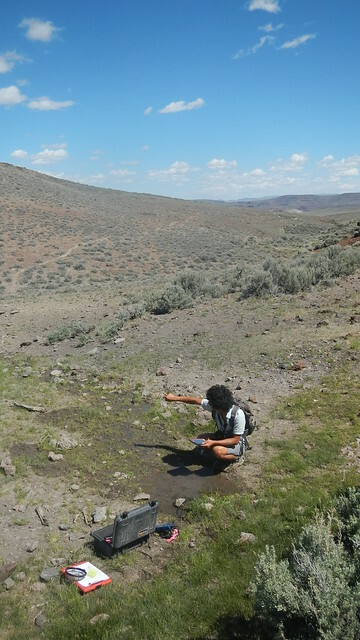 The Pole Creek Access Road and portions of the High Rock Canyon riparian area were surveyed. FBRHR monitored springs near current and former roads adjacent to Soldier Meadows. 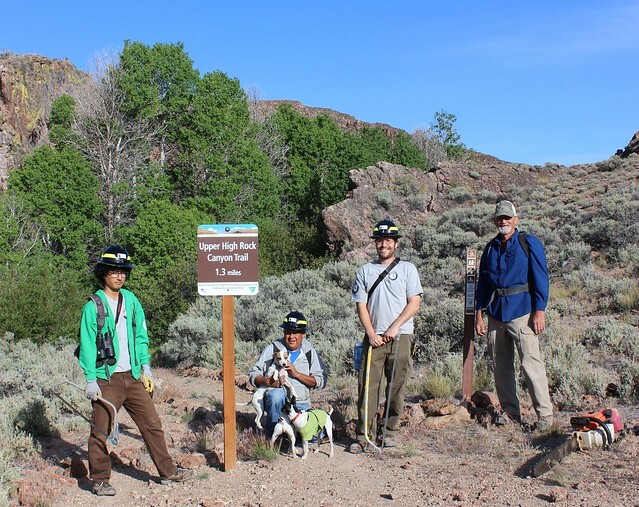 FBRHR along with the BLM, Friends of Nevada Wilderness, and Nevada Outdoor School completed stewardship projects, tours of the area, and educational talks about the area. Stewardship projects included installing boundary markers along Soldier Meadows Rd. 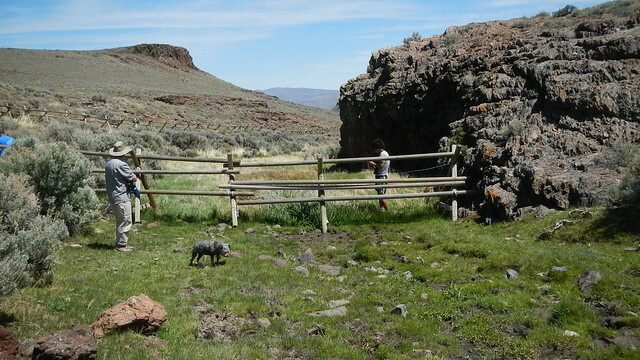 and fencing to protect sensitive areas near Trego Hot Spring. FBRHR surveyed 27.740962 miles of roads for noxious weeds. The areas covered included the High Rock Canyon Road, Mahogany Creek, Wilderness Traverse, Desolation Row, Yellow Rock Ghost Road, Laxague Spring Ghost Road, Ghost Corral, Little High Rock Ghost Road, and Laxague Spring Spur. FBRHR conducted trail maintenance on the Upper High Rock Canyon trail, removing fallen aspen trees and trimming back encroaching brush from the trail. FBRHR also performed general maintenance at the cabin and surrounding campground area. FBRHR inventoried and mapped 28.515977 miles of roads in High Rock Canyon for noxious weeds. The areas covered included the High Rock Canyon Road and riparian area, Son of Butcher Flat, Butcher Flat Ghost Road, and Wall Creek Ghost Road. 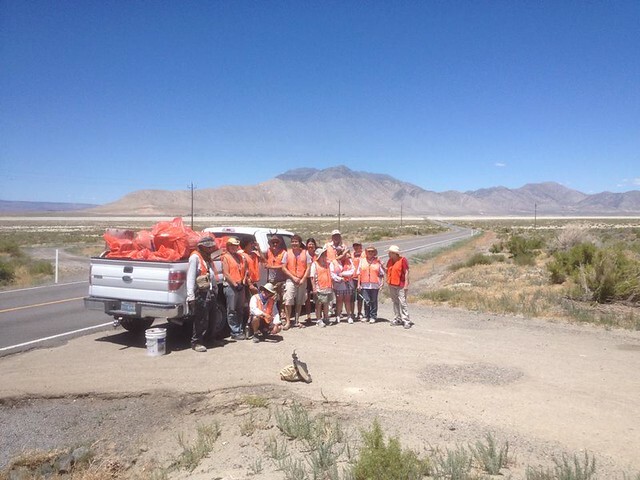 As a participant in the Adopt-a-Highway program, FBRHR cleaned up trash and debris on the north and south bound sides of Highway 447 from Gerlach to Empire. 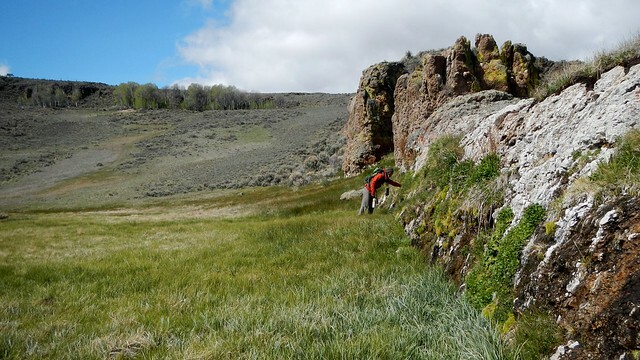 FBRHR inventoried and mapped 17.024825 miles of roads in High Rock Canyon for noxious weeds. The areas covered included High Rock Canyon riparian area, Yellow Rock Canyon Road and riparian area, Road to Somewhere, Cherry Spring Trail, and Upside Out, Inside Down. 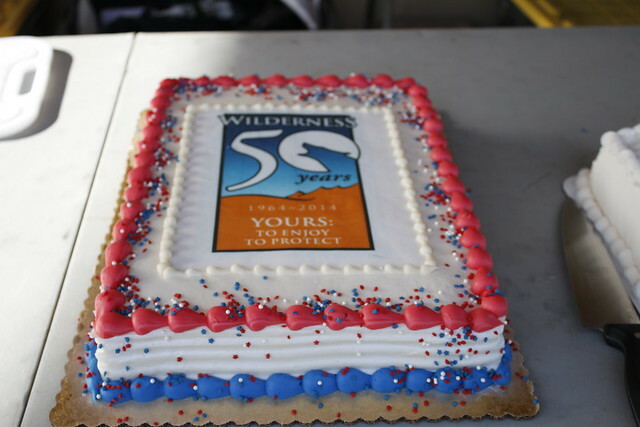 We celebrated the 50th Anniversary of the Wilderness Act out in High Rock Canyon. 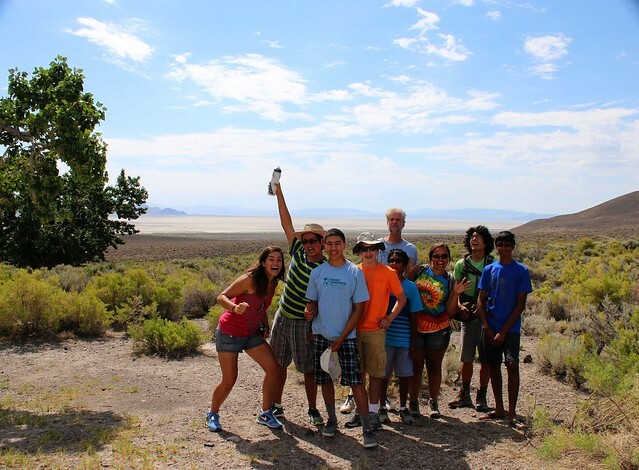 FBRHR partnered with Envirolution’s Three Sphere’s Leadership Academy to bring students from Reno out camping for the first time. Students were educated on spring monitoring techniques using tablets, and they learned Leave No Trace and Tread Lightly! outdoor ethics. 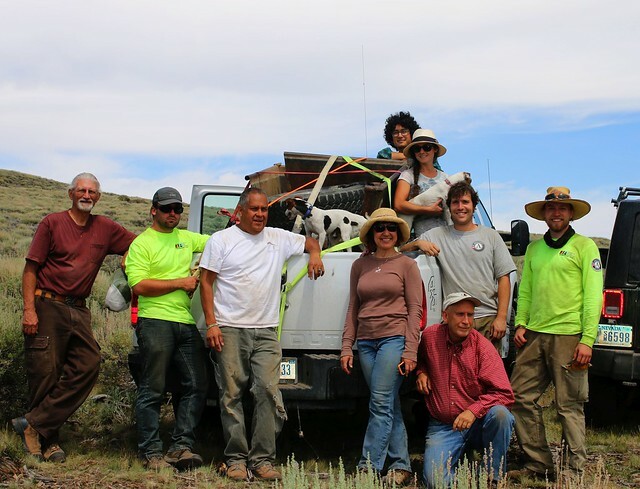 FBRHR partnered with the BLM and Friends of Nevada Wilderness to complete a multi-year removal of fencing project from the Summit Twin Springs area. This included sledding out barbed wire, fence posts, and old water trough improvements. 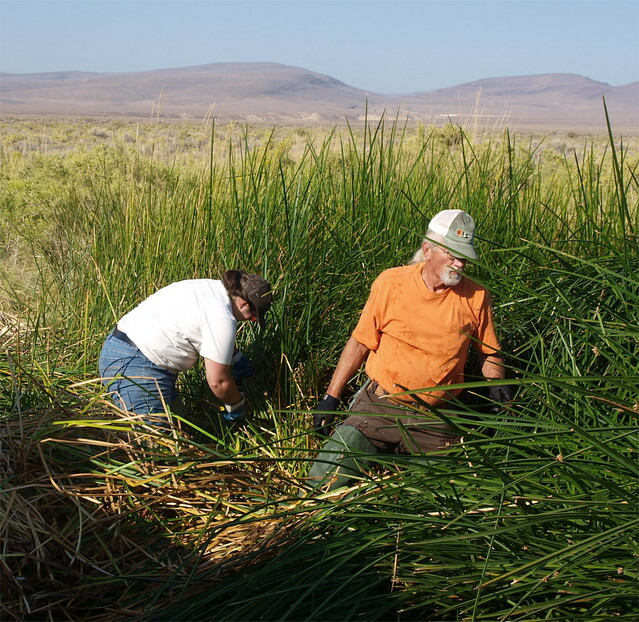 FBRHR removed bulrush vegetation to protect the endangered Desert Dace in the hot creek at Soldier Meadows. This is the continuation of on-going efforts to protect the Desert Dace. FBRHR also performed general campground and cabin maintenance. Hanging out under the stars! 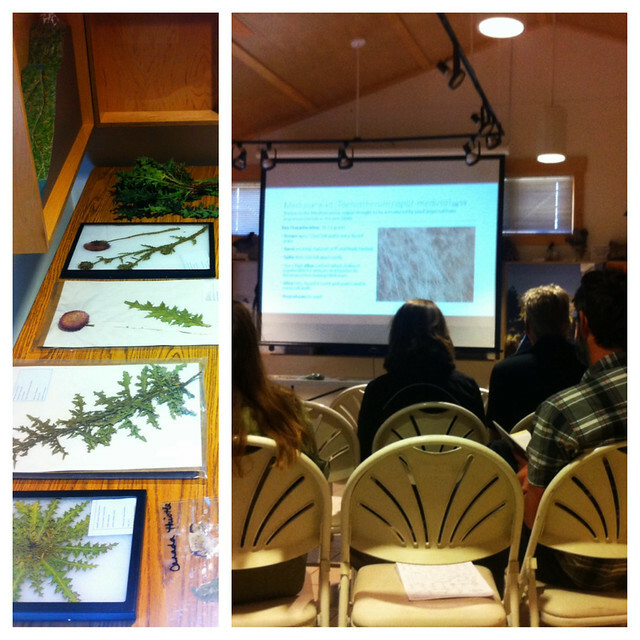 FBRHR partnered with FNW, NOS, and the BLM for the annual National Public Lands Day event. 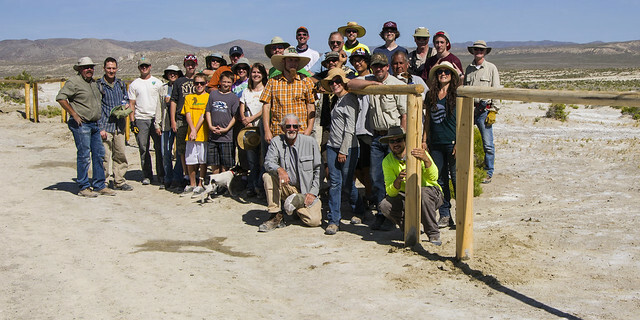 The projects included cleaning up the Onion Reservoir Campground and facilities, performing road and trail maintenance up to Blue Lakes from Onion Reservoir, cleaning up the area around Blue Lakes, and a dutch oven cook-off and wilderness trivia. NOS hosted a kids camp for the event. The event was attended by over 30 participants. FBRHR partnered with Red Rock Canyon Interpretive Association (RRCIA) to display the artwork of each organization’s inaugural Artist-in-Residence programs. Artwork from RRCIA’s three artists were on display, and the two artists from FBRHR’s program were in attendance to showcase their artwork. This month-long exhibition was held at the Liberty Fine Art Gallery in Reno. The art gallery participates in a “First Thursday” art walk, which saw over 200 people come through the gallery. A special reception for the Artist-in-Residence program was attended by over 30 participants on Oct. 18th. 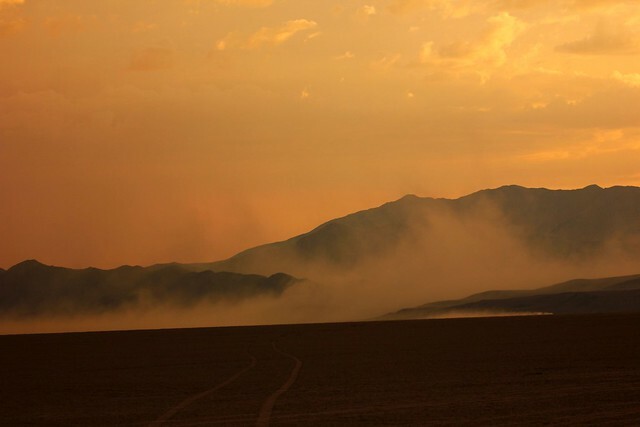 FBRHR collaborated with the Nevada Museum of Art to host the Wild & Scenic Film Festival on Tour. Over 6 hours of films were attended by over 100 participants. This day of films aimed to inspire activism and get people involved in their local communities. The films highlighted a variety of categories including energy, climate change, conservation, wildlife, community activism, environmental justice, and adventure. FBRHR partnered with the BLM to replace weathered signage at Coyote Dunes. FBRHR also repaired damaged fencing at Trego Hot Springs. Both the signage and the fencing deter unauthorized motorized access to those sensitive areas.